Please follow us on Facebook and continue to check back for more upcoming events! Between 2005 and 2011 researchers from the Institute of Nautical Archaeology (INA) at Texas A&M University excavated the remains of a marble carrier that sank off the Aegean coast of Turkey at Kizilburun very probably in the first century B.C. The ship was transporting the components of a newly-quarried monumental column. Isotopic, stylistic, and metrological analysis of the column pieces has enabled researchers to identify with some certainty the ancient temple for which the column was intended. In addition, excavation of the Kizilburun column wreck provides a unique snapshot of quarrying processes, long-distance transport by sea, and monumental construction in marble in Late Hellenistic Asia Minor. This talk examines how Indigenous Pueblo people living in the Rio Grande Valley in New Mexico and Texas use strategic concealments and revelations to constitute community and enact morality, subjectivity, and sovereignty. Drawing on long-term ethnographic and linguistic fieldwork with three Pueblo nations, I move from examples where cultural and linguistic information is tightly controlled to situations where visibility is self-consciously produced to discuss how indigeneity is performed and politics are practiced in this region and in the contemporary U.S. more broadly. Speaker: Dr. Acabado directs the Ifugao Archaeological Project, a collaborative research program between the University of the Philippines-Archaeological Studies Program, the National Museum of the Philippines, the University of California-Los Angeles, and the Save the Ifugao Terraces Movement, Inc (SITMo). sand island, and the adjacent Cooloola Dune Field form the northern part of these extensive sand barriers. Speaker: Thomas E. Levy is a Distinguished Professor in the Department of Anthropology at UC San Diego and co-directs the Scripps Center for Marine Archaeology. Levy is a Fellow of the American Academy of Arts and Sciences. To help establish the new Scripps Center for Marine Archaeology (SCMA) within world maritime archaeology studies, SCMA has begun building a research program in the eastern Mediterranean where UC San Diego has a long-term record of engagement with local scholars. Recent projects in Greece and Israel take a deep-time perspective focusing on cultural adaptation to climate change and changing trade networks from the earliest Neolithic agricultural societies to establishment of local kingdoms in the Iron Age and through the international Hellenistic and Roman periods. SCMA research investigates key cultural/historical issues such as the collapse of Late Bronze Age civilization in the eastern Mediterranean (ca. 1200 BCE), Iron Age (ca. 1200 – 500 BCE) sea-level rise, and submerged trading ports in the Hellenistic/Roman periods. Integrated fieldwork includes: marine geophysics to map the sea floor and discover new archaeological sites; coastal sediment coring for geoarchaeological investigations; and underwater archaeological excavation applying a range of cyber-archaeology digital tools for recording and analyses. This seminar presents a snapshot of SCMA’s eastern Mediterranean research. This workshop will provide an overview of the principles and processes of qualitative data analysis. The focus will be on introducing concepts and processes that are applicable to most analytic approaches, rather than focusing on a single approach (e.g., grounded theory, thematic analysis). The workshop will introduce key concepts like code development, coding, code searches, description, and comparison. There will be a brief introduction to software packages available to facilitate organization and analysis of qualitative data. Resources will be provided to support students looking to learn more. *The didactic workshop runs 10am-12pm and ends with a lunch discussion 12-1pm, during which students can ask questions regarding their own research projects and analytic goals. Dr. Bussmann earned his M.Sc. (Diploma) in Biology at Universität Tübingen, Germany, in 1993 and his doctorate at Universität Bayreuth, Germany, in 1994. He is an ethnobotanist and vegetation ecologist, and currently Affiliate Scientist at Museo Nacional de Historia Natural in La Paz, Bolivia, and co-director of Saving Knowledge, La Paz, Bolivia, as well as Principal Scientist at the Department of Ethnobotany, Institute of Botany, Ilia State University, both of which which he co-fouded. Before retiring from Missouri Botanical Garden, Dr. Bussmann was director of the William L. Brown Center at Missouri Botanical Garden, William L. Brown Curator of Economic Botany, and Senior Curator. Before accepting the directorship of WLBC, he held academic appointments as Research Fellow in Geography and the Environment at University of Texas at Austin from 2006 to 2007, as Associate Professor of Botany and Scientific Director of Harold Lyon Arboretum at University of Hawaii from 2003 to 2006, and as Assistant Professor at University of Bayreuth from 1997 to 2003, following a postdoc at the same institution from 1994 to 1997. He holds affiliate faculty appointments at Washington University St. Louis, USA; University of Missouri St. Louis, USA; Florida Atlantic University Boca Raton, USA; Universidade Federal da Paraíba, Brazil; Universidád Nacional Mayor de San Marcos, Perú; and at Ilia State University, Republic of Georgia, and serves as external thesis advisor at multiple other universities worldwide. His work focuses on ethnobotanical research, and the preservation of traditional knowledge, in Bolivia, Peru, Madagascar, the Caucasus, and the Himalayas. To date, Dr. Bussmann has authored over 200 papers, over 175 book chapters, and authored or edited over 30 books. Gary Paul Nabhan is an Agricultural Ecologist, Ethnobotanist Ecumenical Franciscan Brother, and author whose work has focused primarily on the interaction of biodiversity and cultural diversity of the arid binational Southwest. He is considered a pioneer in the local food movement and the heirloom seed saving movement. He co-founded Native Seeds/SEARCH. Native Seeds is a non-profit conservation organization which works to preserve place-based Southwestern agricultural plants as well as knowledge of their uses. He then became founding director of the Center for Sustainable Environments at Northern Arizona University in Flagstaff, AZ. He currently serves as the serves as the Kellogg Endowed Chair in Southwestern Borderlands Food and Water Security at the University of Arizona. There, he founded the Center for Regional Food Studies and catalyzed the initiative to have UNESCO designate Tucson as the first City of Gastronomy in the U.S. He is a MacArthur Fellow and has authored over 30 books including The Desert Smells Like Rain (1982), Growing Food in a Hotter, Drier Land: Lessons from Desert Farmers on Adapting to Climate Uncertainty and Renewing America’s Food Traditions. Description: At the end of each academic year (end of May), an event takes place that showcases undergraduate student achievements, including Honors thesis presentations, recognition of academic achievements by our graduating majors, recognition of activities by the AnthroClub, activities by the Ambassadors of Anthropology, awards to outstanding graduating seniors, and a special salute from alumni. 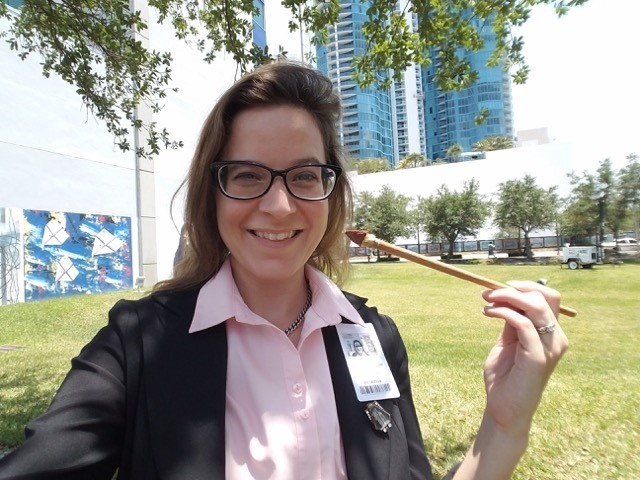 Szilvia is a doctoral candidate of Mental Health Sciences at Semmelweis University, Budapest, and is currently a Fulbright visiting scholar at UC San Diego. Her research focuses on the sociocultural factors of therapy choice in Hungary and decision-making processes related to health. 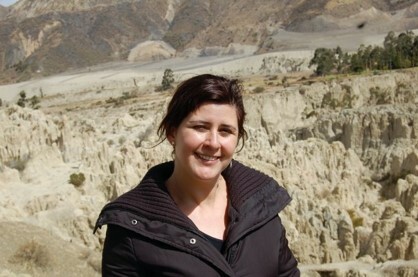 She is a guest lecturer at the Institute of Intercultural Psychology and Education, as well as the Department of Anthropology, at Eötvös Loránd University. Date: Wednesday, April 18, 10:30 a.m. - 12:30 p.m.
Claire Snell-Rood is an Assistant Professor in Health and Social Behavior in the School of Public Health at the University of California, Berkeley. Her research explores the social dimensions of health among women living in poverty, which she has examined in urban India as well as rural Appalachia. Her book, No one will let her live: women's struggle for wellbeing in a Delhi slum, is published with UC Press and received an honorable mention for the Eileen Basker Memorial Prize. 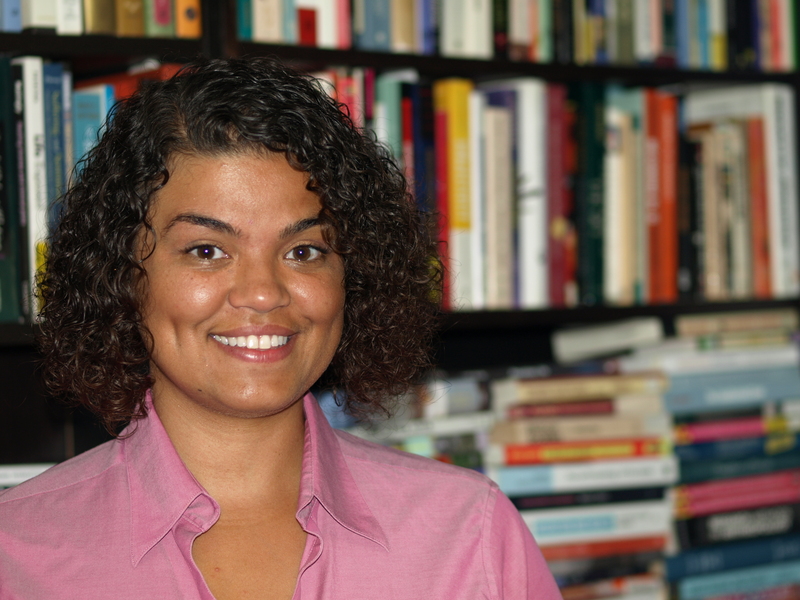 Her current research employs implementation science perspectives to address mental health disparities in the rural U.S. Date: Wednesday, April 4, 10:00 a.m. - 12:00 p.m.
Fernando graduated in Social Sciences (2009) and has a Master’s degree in Social Anthropology (2013). Currently he is a PhD candidate in the Department of Anthropology of Universidade Federal de Santa Catarina (UFSC, Brazil) and is a Visiting Scholar at UC San Diego in the Fulbright Program. His work has focused in the ethnographic study of mental health field in Brazil from the perspective of Anthropology of Health. This presentation discusses my fieldwork in a psychiatric day clinic in southern Brazil. It examines how religious and psychotherapeutic interpretations of self and healing are constantly being evoked and interwoven into therapeutic conceptions and practices. What I take as religious interpretations are not discrete or static conceptions but, in fact, heterogeneous statements that refer to spirits, lights, energies, colors, seeing and talking to other entities. Similarly, when I talk about psychotherapeutic interpretations, I call attention to a diversity of psychological and therapeutic schools that are practiced within the day clinic program, including psychoanalysis, transpersonal psychology, and psychodrama. Both groups of practices/discourses should not be seen as opposed or contradictory but, rather, as crucial in shaping important psychiatric artifacts in that context. Mental health, here, is experienced from the perspective of a world populated with different entities – that include the powers of biomedicine and medication, but also deal with the unknown, the energetic and the spiritual. As a result, instead of describing the clinical practices as expressing a discrete and well-defined conceptual orientation – either that of the religious or mental health perspective – I choose to think about both realms as intertwined. Date: Tuesday, February 13, 2017, 10:00 a.m. - 12:00 p.m.
Dr. Merav Shohet is a cultural anthropologist whose specializations in psychological, medical, and linguistic anthropology lead to ethnographically grounded, comparative, language-centered research on affect, morality, and health. Recent decades’ marketization and privatization reforms under the policy of đổi mới (Renovation) have led to a contraction of Vietnam’s public health care system, just as the incidence of hypertension and other diseases has been rising. With a decline in nationalized forms of care, families—and especially women—are idealized as steadfast care-takers who unquestioningly shoulder the burdens of sustaining their own continuity and viability, as households remain the normative and preferred places to care for ill members. Drawing on long-term ethnographic fieldwork in Đà Nẵng, this chapter considers how families on the city’s margins cope with terminal illness. Focusing on the case of an elderly matriarch who suffered a series of high blood pressure-related strokes that left her in a permanent vegetative state, I detail the multiple layers of waiting and (lack of) care experienced by the ill grandmother and her extended family. The analysis illuminates how home-based rituals and routines were altered and thereby sustained as the matriarch’s relatives at once anticipated, and yet tried to minimize and ward off their ongoing loss, in part by shrouding the illness in relative silence. In attending to the entanglement of different forms of being-in-time in relation to care, I attempt to show how waiting to and waiting for care are recounted as gendered, troubled, and troubling ethical practices in Vietnam. Are you interested in the intersection of gender/sexuality and global health from a socio-cultural perspective? Are you interested in travelling to Thailand this summer while getting academic credit? Attend the information session to learn more about this this program. Are you interested in visiting 18 ancient Maya cities in the rainforests of Mexico during Spring Break? Attend one of the following information sessions to learn more about this program! Our next meeting of the UCSD's Psychological and Medical Anthropology Seminar. will be on Wednesday, November 15th from 10am-12pm, in SSRB 331. Dr. Paula Saravia will be presenting a paper titled, "No hay drama": Precarity, Medicine, and Gender among mental health and HIV-AIDS patients in Northern Santiago, Chile. Please find the attached flyer with the abstract. We hope you will join us in the Psychological and Medical Anthropology Lab, SSRB 331, on Wednesday, November 15th from 10am-12pm. "Climate Change and Religion" with Thomas J. Csordas and Karma Lekshe Tsomo. Come and learn about the history of religious thought and practice in the way humans play a role in preserving the earth and the environment. How does religion, in its diverse forms, understand climate change? "What Muslims and Jews Need from Each Other" by Yossi Klein Halevi. Yossi has been active in Middle East reconciliation work, and serves as chairman of Open House, an Arab Israeli-Jewish Israeli center in the town of Ramle, near Tel Aviv. Yossi was one of the founders of the now-defunct Israeli- Palestinian Media Forum, which brought together Israeli and Palestinian journalists. He was a senior fellow at the Shalem Center in Jerusalem from 2003-2009. Yossi was born in New York. He has a B.A. in Jewish studies from Brooklyn College and an M.S. in journalism from Northwestern University. He moved to Israel in 1982, and lives in Jerusalem with his wife, Sarah, a landscape designer. They have three children. Questions: jewishstudies@cloud.ucsd.edu. This event is open to UCSD students only. With 3 feet of sea level rise, over 16,000 cultural sites in Florida will be destroyed. How do we document these sites before they are gone? What are the best steps we can take to engage the local community? In this talk, we will explore the Florida Public Archaeology Network’s citizen science initiative, Heritage Monitoring Scouts (HMS) Florida, as well as practical approaches to engage local leaders in this important issue. A major success story in southeast Florida was the inclusion of archaeological resources in the Southeast Regional Climate Compact, a four county agreement between Palm Beach County, Broward, Miami-Dade, and Monroe counties that details recommendations to cope with climate change in these counties.Resiliency is also a social justice issue—natural disasters such as hurricanes like Harvey and Irma illustrate how marginalized communities suffer disproportionately. Additionally, too often cultural heritage is overlooked in resiliency discussions, but it is a critical part of helping communities engage with the space around them. Pride in historic sites and local archaeological should be accessible to everyone. Although destructive, natural disasters can also galvanize the local community to protect cemeteries or submerged resources under threat that they may not have been previously aware of. In this discussion we will use examples from various communities throughout Florida, such as the fishing village of Matlacha, and recent events to illustrate the need for people to get involved in protecting coastal heritage. Our next meeting of the UCSD's Psychological and Medical Anthropology Seminar will be on Wednesday October 25th, from 10:00 am -12:00 pm, in SSRB 331. Professor Hanna Garth will be presenting a chapter of her upcoming book project titled, "Shifting Subjectivities" in Contemporary Santiago de Cuba. We hope you will join us in the the Psychological and Medical Anthropology Lab, SSRB 331, on Wednesday, October 25th from 10:00 am - 12:00 pm! 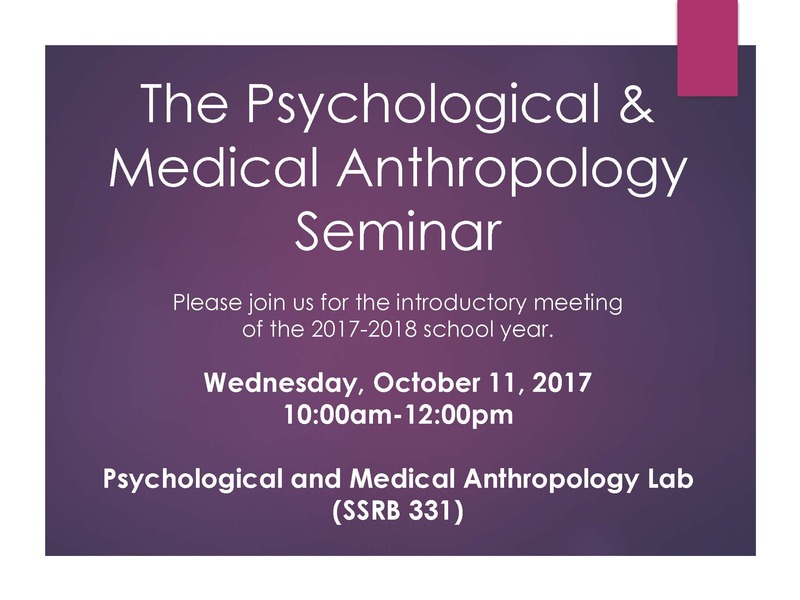 Please join us for the first 2017-2018 meeting of the Psychological and Medical Anthropology Seminar. We will cover introductions and share updates from the summer and plans for the academic year. June 2nd, 2017 | SSB 107 | 10 - 3:30 p.m.
May 23, 2017 | 4 - 6 p.m.
We will discuss new work from Dr. Rihan Yeh, U Chicago 2009, a US-Mex alumna, now at the Universidad de Michoacán, Mexico. Rihan is spending time in SoCal during her sabbatical, and will share some of her work in progress with us. She will followup with a workshop on 'grappling with radical vulnerability' - a key concept she offers in her 2014 book, Muddying the Waters: Coauthoring Feminisms Across Scholarship and Activism and further developed in Hungry Translations. This will be co-sponsored by CAW and SED the Studio for Ethnographic Design. This will be a more informal venue where faculty and students can discuss the challenges of ethnography and writing. At the end of each academic year, we showcase our undergraduate student achievements, including Honors Thesis Presentations, recognition of academic achievements by our graduating majors, recognition of activities by the AnthroClub, activities by the Ambassadors of Anthropology, awards to outstanding graduating seniors, and a special salute from alumni. Missed it? Watch the video of the event here! We will discuss new work from Dr. Rihan Yeh, U Chicago 2009, a US-Mex alumna, now at the Universidad de Michoacán, Mexico. Rihan is spending time in SoCal during her sabbatical, and will share some of her work in progress with us. She will be giving a public talk based on her new book-in-progress, Hungry Translations: Telling Stories, Disrupting 'the Social,' Relearning the World, which she is writing in collaborative journeys with members of the Sangtin movement and Parakh theatre. The book looks at questions of storytelling as an ethical responsibility that must do justice to the epistemic energy of those whose knowledges we stand on, but whose intellectual labors often remain invisible in the academy. This will be co-sponsored by the International Institute, the Anthropology Department, and the South Asia Initiative. We will meet to discuss one short article, Nitzan Shoshan’s Cultural Anthropology piece: Managing Hate: Political Delinquency and Affective Governance in Germany. Graduate Student Seminar: "How to Write an IRB Proposal"
The International Institute invites you to a workshop to help guide you through the difficult process of applying for an IRB/Human Subject applications. Guest speakers will be Patrick Patterson, Associate Professor of History, and Chair, Committee on Research Grants, General Campus Lorena Almeida, HRPP Human Research Protection Program. Subjects to be covered: * When is IRB review required? * Protecting human subjects: rules, requirements, procedures * Approval for social science methods: what's easier than you might think, and what's harder than you might think * Ways to make the IRB process smoother and faster * International issues: special problems and concerns for work abroad * The nuts and bolts of putting together an IRB submission. For more information, please contact UC San Diego International Institute Director, Nancy Postero. Job Talk: "Clutter: Unpacking the Stuff of Business Innovation"
In his mixed-media project "Identities are Changeable" (Miel Music, 2014), jazz saxophonist Miguel Zenón explored Puerto Rican identity in New York through interviews and music. Here he will present this work and discuss tradition and innovation in identity, language, and music with Ana Celia Zentella (Ethnic Studies, UCSD), Kamau Kenyatta (Music, UCSD), and Sandro Duranti (Anthropology, UCLA). Grammy nominee, MacArthur and Guggenheim fellow, member of the SF Jazz Collective, Miguel Zenón was born and raised in Puerto Rico. The Miguel Zenón Quartet will perform in concert at The Loft on Feb. 22 at 8 pm. This workshop is free and open to the public. For further information, contact kwoolard@ucsd.edu. "Language ideologies about the uses of an emerging sign language in the San Juan Quiahije Chatino municipality"